In this article, I’m going to answer some of your questions about bed bug mattress covers (or mattress encasements). If you want to skip to a specific section, then please use the table of contents below to jump ahead. 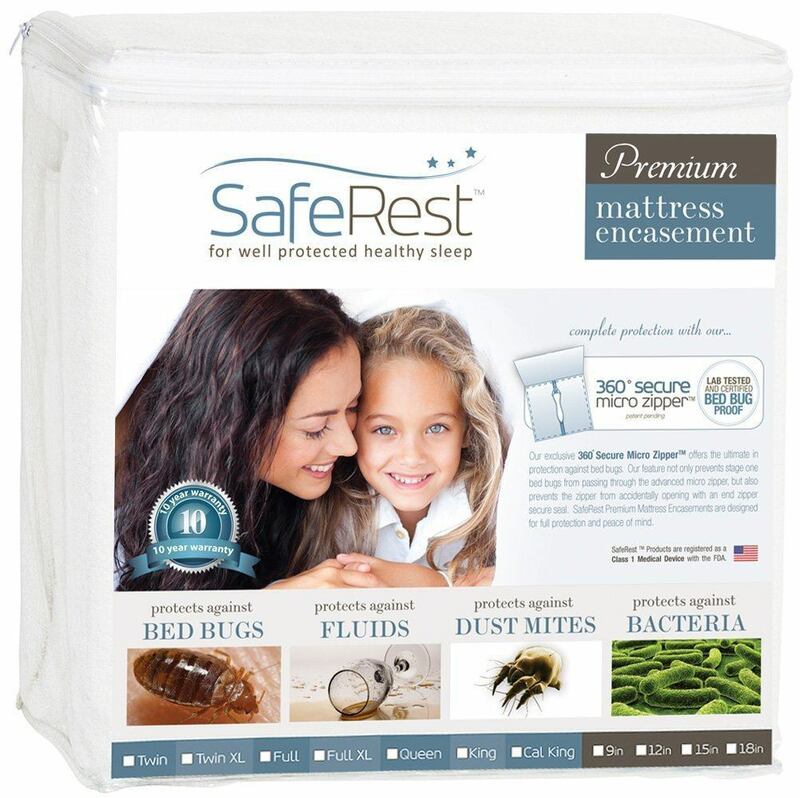 Should I buy a bed bug mattress cover? Which brand of mattress encasement should I buy? Does a bed bug mattress cover prevent bed bugs? Does a bed bug mattress cover kill existing bed bugs? How do I fit the mattress cover over my mattress? What does it feel like to sleep with a mattress cover? Should I buy a bed bug box spring encasement? A bed bug mattress cover (also known as a bed bug mattress encasement) is made from a waterproof material, and it acts like a big bag that covers your entire mattress. It’s then zipped up so that the mattress is completely enveloped by it. If you purchase the correct size of mattress cover for your bed, then your mattress should fit very snugly within the cover. Mattress encasements come in a package similar to that of bed sheets and will usually have a zipper on one side of it. The material is waterproof and bed bug proof so it can protect your mattress from a variety of harms. 1. It protects a valuable mattress – so it can save you a lot of money. We have to sleep on our mattresses every single night (and sometimes for a nap during the day too), so it mattered a lot to us which one we bought. We went to the stores and tried out a bunch and ended up spending a fortune on our favorite one. That mattress cost us more than the rest of our bedroom furniture combined (and they weren’t all IKEA furniture!). With that in mind, we cared a lot about protecting our mattress, and a bed bug mattress cover is a simple and super inexpensive method of doing just that. They’re often under $50! 2. It has uses beyond just bed bugs. If you ever drink coffee or tea or even water in bed or if you have a dog or child that might pee on your bed, then getting a mattress cover is really essential! You don’t want that stain ruining your mattress, you don’t want to spend hours trying to get the stink out of it, and you really don’t want that liquid to seep down and make your mattress go moldy! Many people also use mattress covers to prevent dust mites and other allergens that can be in your mattress from getting out. Now that you understand the importance of getting a bed bug mattress cover, let me explain the importance of getting a good one! If you only care about protecting your mattress against stains, then most covers will do, but if you are worried about bed bugs (or if you already have bed bugs), then it is really essential that you get a good one. The reason is that cheap mattress covers can often develop splits or cuts in them or have gaps in the zip. If you’re trying to keep bed bugs out of your mattress (or keep bed bugs from escaping from your mattress), then you really don’t want there to be a hole in the cover for them to come out of! It would defeat the entire purpose of getting a bed bug mattress cover. So, please get a really good one! Make sure the plastic material feels more like fabric and not like the material cheap shower curtains are made of. Make sure there are no rips in the material as this would make it useless. Make sure the mattress cover specifically prevents bed bugs as some mattress covers are just designed to prevent allergies. I like how they come in a variety of sizes (including the California King size, which is difficult to find). I also like the fact there’s a velcro tab to secure the zipper so that it doesn’t get jostled loose over time and therefore create a hole for the bed bugs to get in. This is a more established brand we have been recommending for years. It’s a bit more expensive than the SafeRest brand, but we find it to be more durable still. It also comes with a special lock on the zipper to prevent it from opening. A bed bug mattress cover can definitely help you prevent bed bugs getting into your mattress and infecting it. The cover, when securely zipped, will stop any bed bugs on your bed from getting into your mattress and taking root there. However, note that a bed bug mattress cover will only protect your mattress! The rest of your home is still at risk, so please make sure to use other preventative measures like putting down diatomaceous earth on your ground, and being extra careful when you stay at hotels or travel. If you already have bed bugs in your home, then this is the section you probably care the most about. Bed bug mattress encasements (like this one) can trap bed bugs already in your mattress so that they don’t come out and bite you in the night. However, if you have bed bugs elsewhere in your home (e.g., in your carpet, sofa, clothes), then clearly this cover doesn’t help with that. 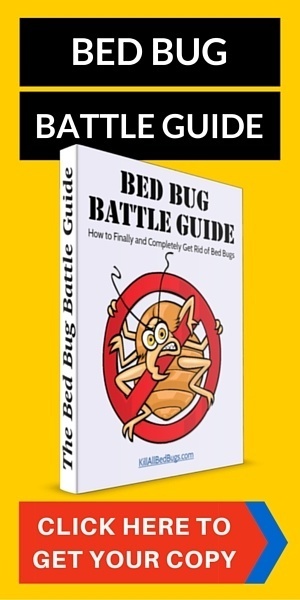 Check out our section on how to get rid of bed bugs for 9 different methods you can use to kill bed bugs in your home. 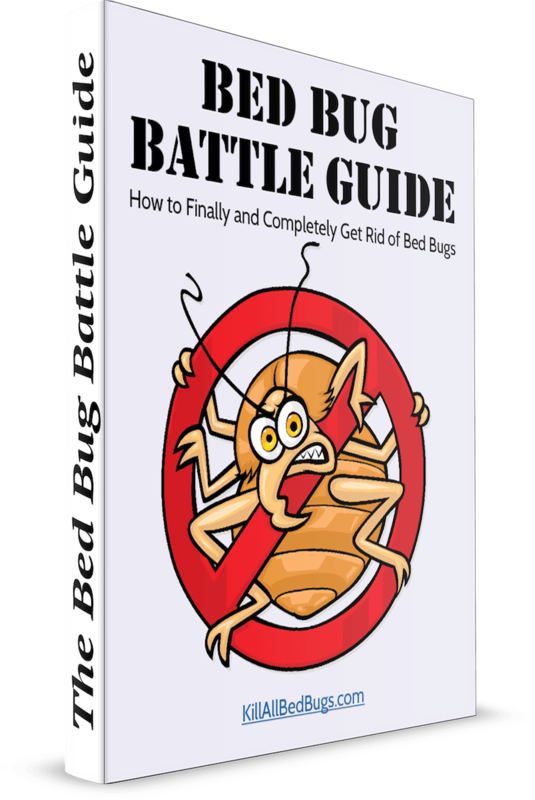 Bed bugs can take a very long time to kill using the mattress cover method – you’ll effectively be starving them to death. So, once you put the mattress cover on, make sure you double check that there are no cuts or holes in the cover, double check the zipper is secured, and tape over the zipper if you can. After that, you don’t want to open up the cover again! Mattress covers can be a bit tricky to put on, mostly because they fit so snugly around your mattress. So, I suggest you get a friend to help you out. 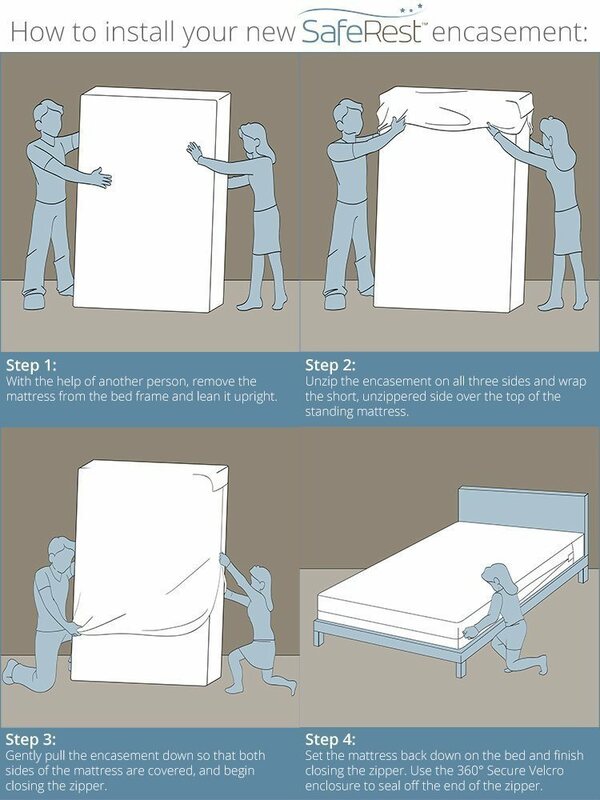 SafeRest has provided a very handy graphic to explain the process – you want to stand your mattress on its side and then pull the cover down. Don’t try to put it on while the mattress is still on the bed as you’ll spend a lot of energy trying to do it and likely tear it up. Plus, you’ll want to get a bed bug box spring encasement too, so you’ll need to put that on with the mattress off anyway. Most people never even notice they’re sleeping with a mattress cover over their mattress, but there are a few subtle differences. Because the mattress cover is made from a waterproof material, it can make your mattress less breathable and more slippery. I’ve found that the sheets can slip off more easily so make sure to use straps to keep your sheets on. The material can also make it a bit hotter to sleep on the bed. One way to deal with this issue is to add some extra sheets or a blanket between the sheets and the mattress cover. This will help make your sleep more comfortable. Yes, I highly recommend you also get a bed bug box spring encasement (like this one) to protect your box springs. The reasons for this are the same as for getting a bed bug mattress cover. However, I don’t think you need to bother with a bed bug pillow encasement as most pillows are fairly cheap to replace. Don’t forget to check your mattress cover monthly to make sure there are no tears or rips as that can prevent it from protecting your mattress properly. You might be able to use tape to patch up any tears or rips that you find. Some mattress covers are washing machine washable. If you wash it in the washing machine, make sure to check carefully as material might have ripped in the wash. Lastly, if you’re using the mattress cover to prevent bed bugs in your mattress from getting out, then don’t open that zip for at least a year.